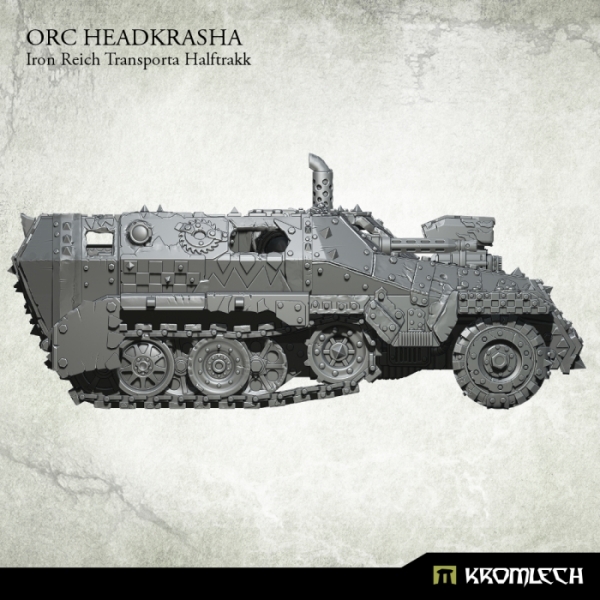 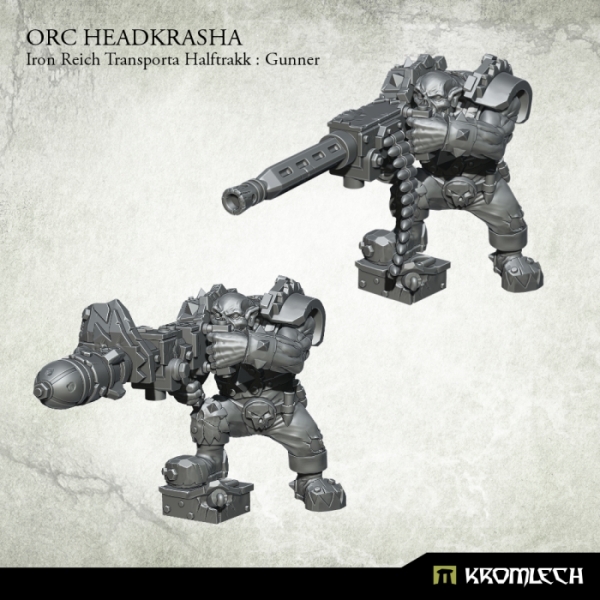 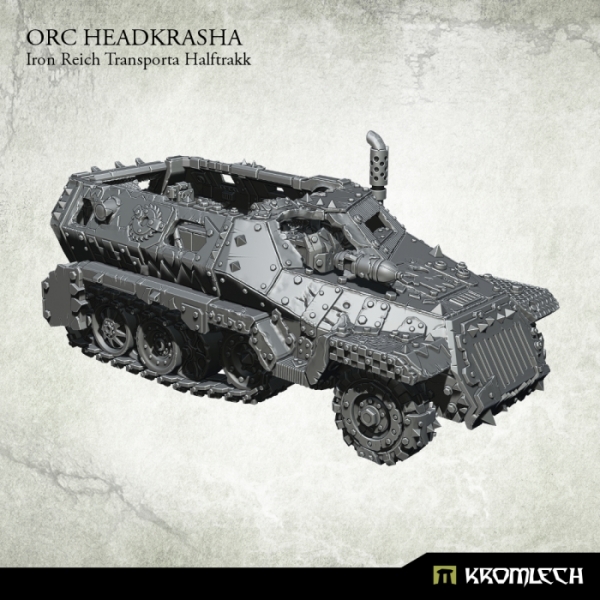 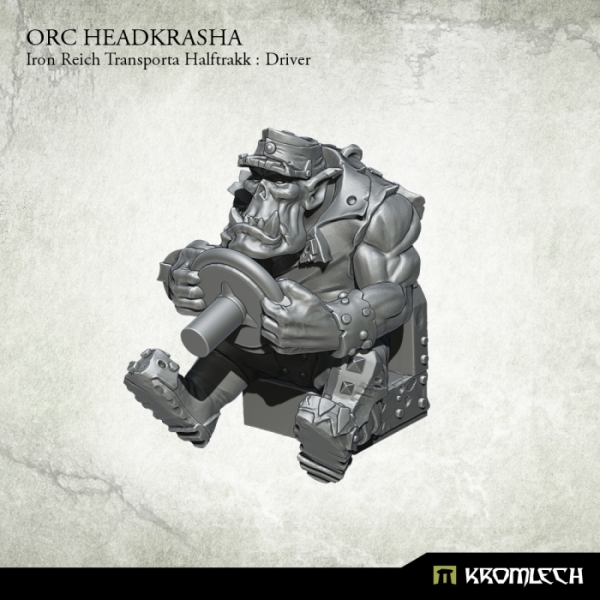 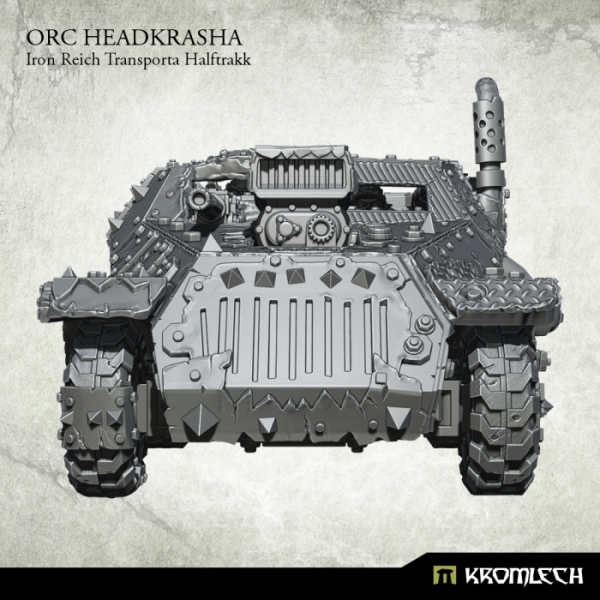 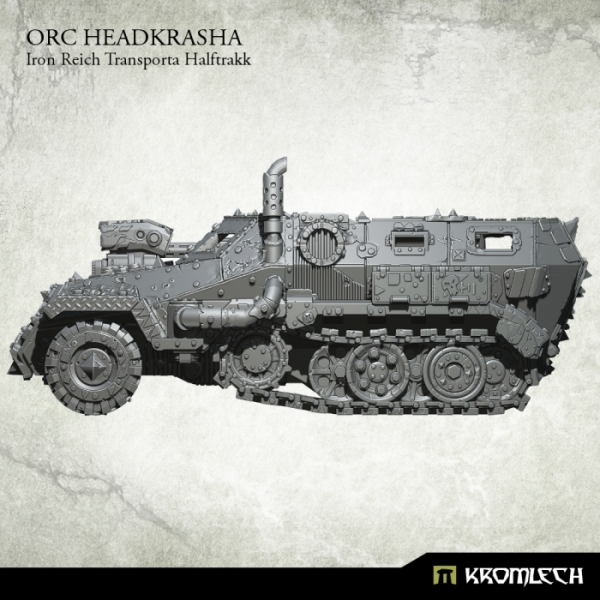 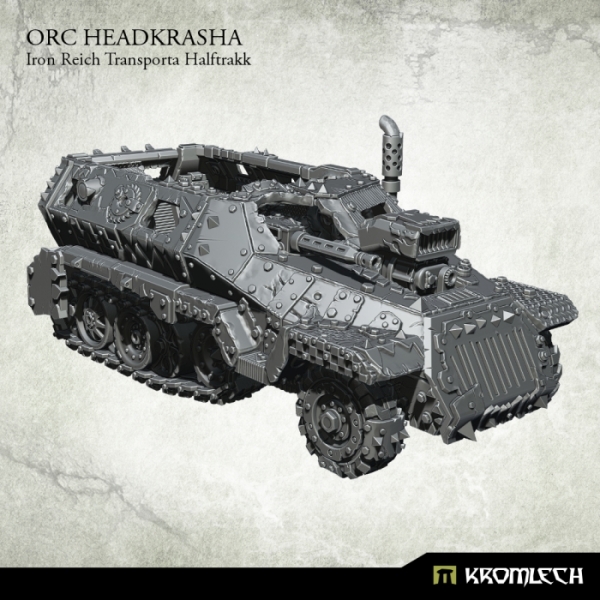 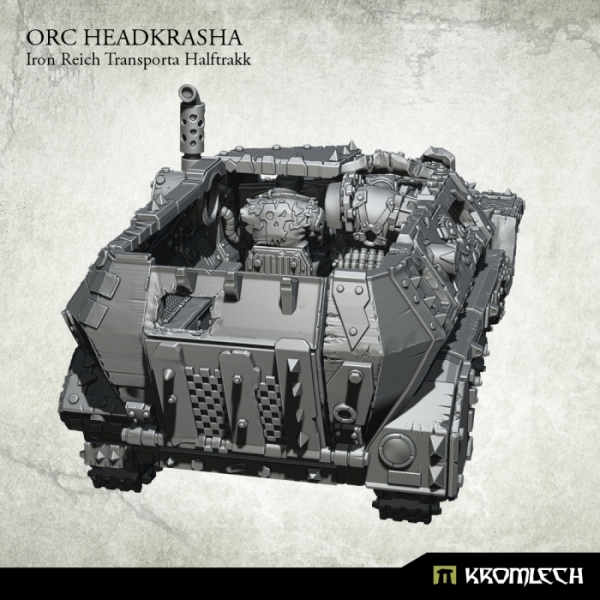 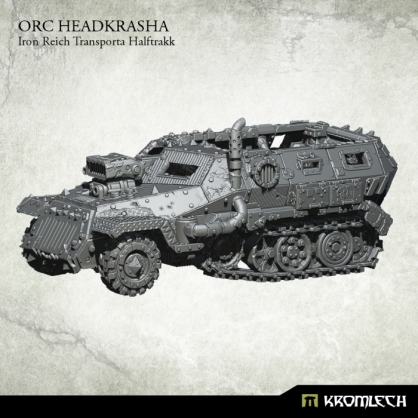 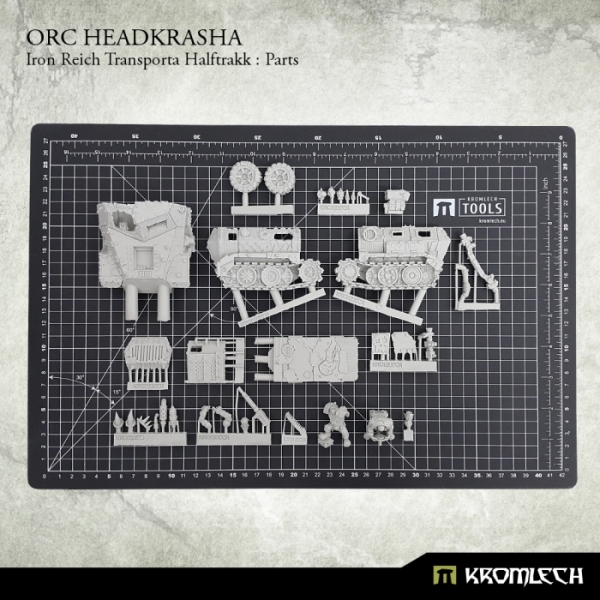 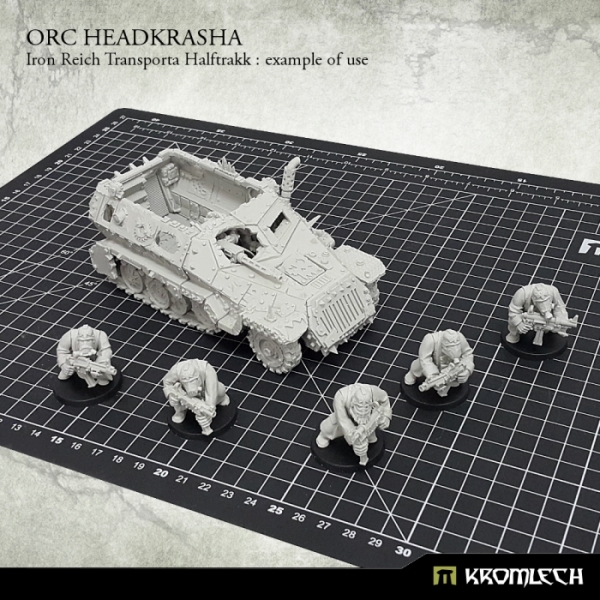 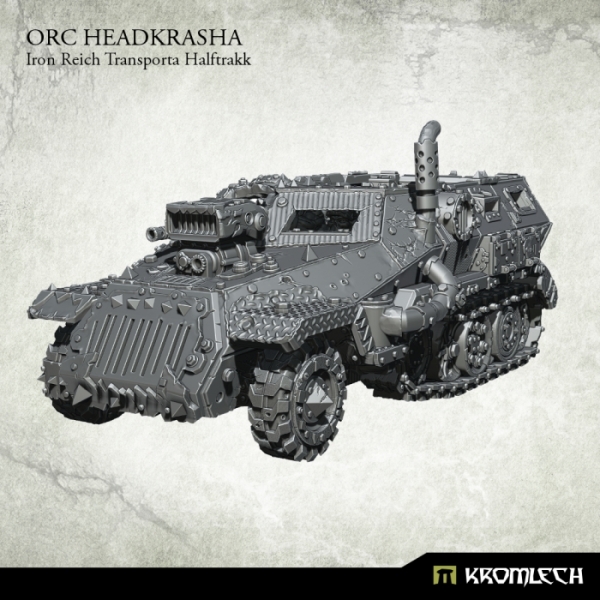 This set contains one multi part high quality resin Orc Headkrasha: Iron Reich Transporta Halftrakk model. 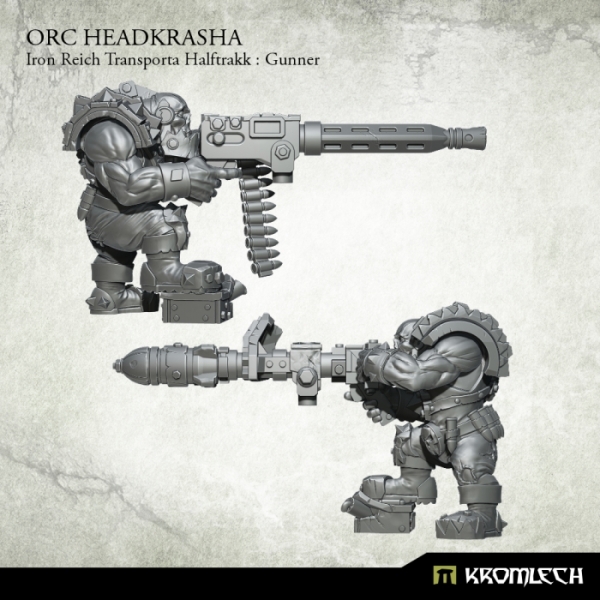 Gunner may be equiped with HMG or rokket launcher. 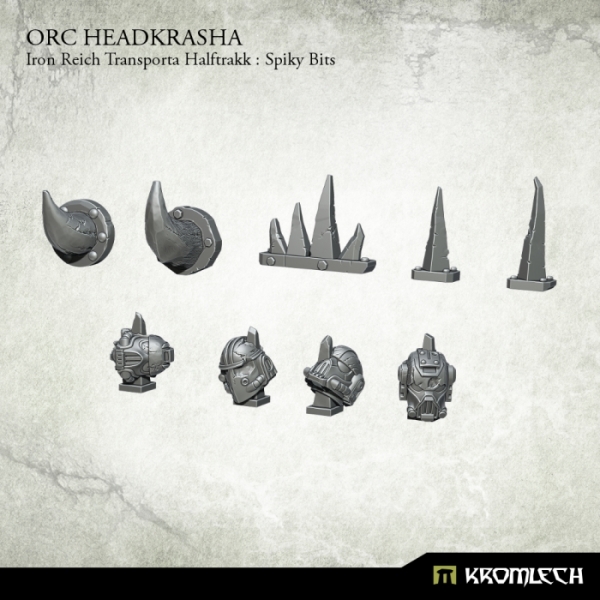 Inside you will find a set of spiky bits to make your model look more unique. 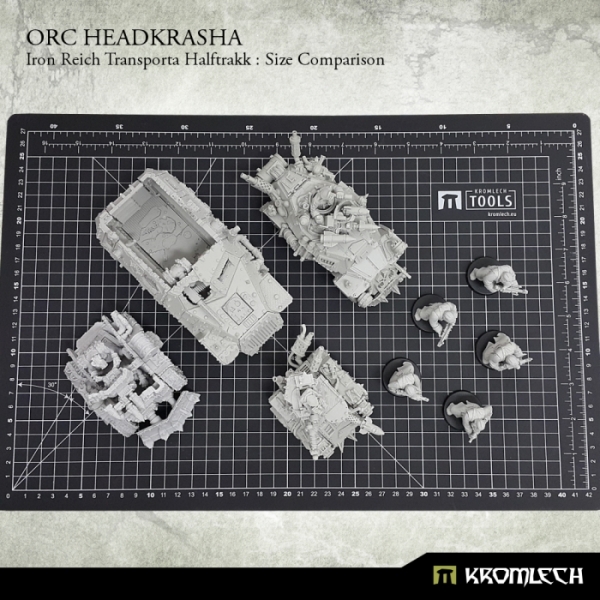 You can also put a glyph plate on engine cover or use supercharger bit. 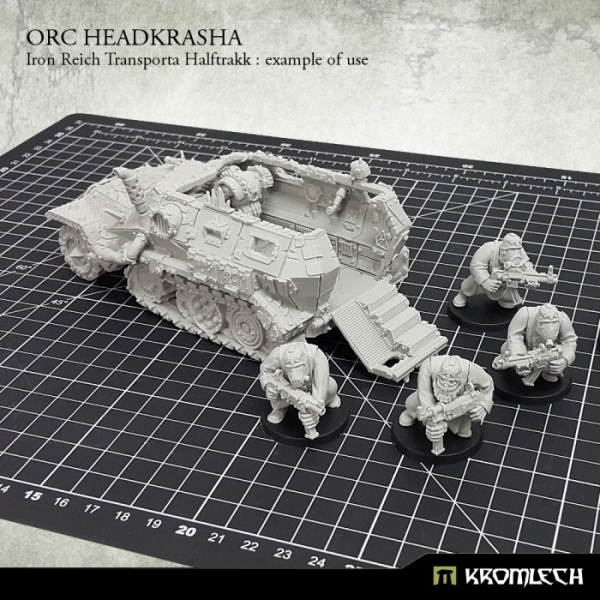 Please note that this model is quite big, approximately 14cm long, 7cm wide and 5cm height, so it will require trimming, fitting and probably some hot water or air.